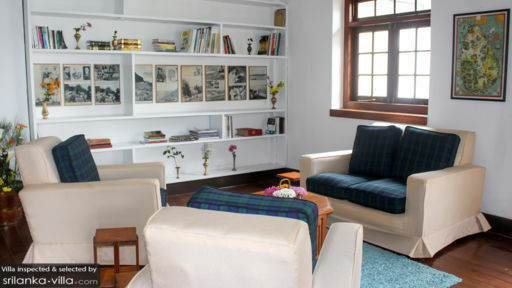 Travel back in time when you reside at Scottish Planter Bungalow. Here you will experience old-world Scottish charm at its best, amidst the incredibly lush and scenic landscape of the Nuwara Eliya countryside. The sprawling estate dates back to the 1880s, but has been lovingly restored to offer modern day comforts. With five capacious bedrooms, the villa is ideal for accommodating travelling party. Scottish Planter Bungalow accommodates 8 guests in four bedrooms. One of the rooms is a spacious family suite, while the remaining three are deluxe bedrooms. 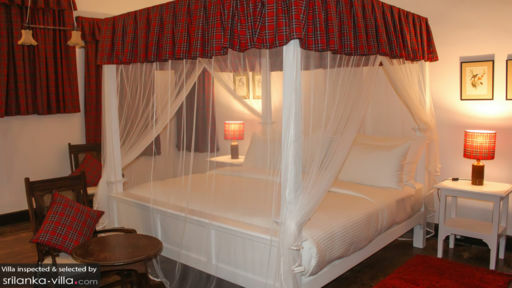 All rooms come complete with tasteful wood fixtures and furnishings, elaborate canopy beds and private en suites. Enjoy the cool mountain air out in the picturesque garden of Scottish Planter Bungalow! The charming setting will make you feel like you’re lounging out in the beautiful English countryside. Stone pathways and steps built across the estate invite guests to take a stroll out in the garden. Make the best of the estate’s gorgeous setting by hosting plenty of al fresco dinners and garden parties! The vibe is elegant and cosy in this traditional home. Darkwood fixtures and fittings dominate within, along with furnishings in various Scottish clan colours, deer head mounts, and a fireplace. Guests may choose from a menu offering Eastern or Western fare, and enjoy their meals in a wood clad dining room with views out to the tea garden. Amenities like a jacuzzi and Swedish sauna are available for use throughout your stay. The local staffs will gladly welcome you during your stay time at the villa. A hospitable team consists of housekeeping, security, gardener and chef are ready to ensure your days impeccably. Scottish Planter Bungalow is nestled away amidst the extensive tea plantations of Nuwara Eliya, Sri Lanka’s picture-perfect hill country. There is much to see and do here, and your villa manager will readily assist in organising excursions to surrounding attractions. 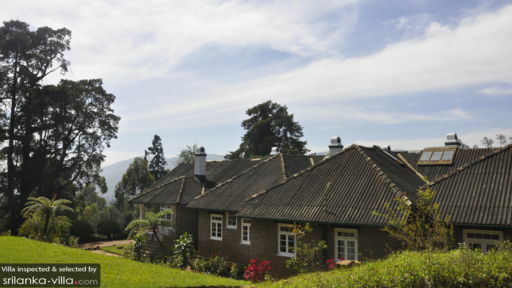 We recommend making a visit to the town centre of Nuwara Eliya, going for leisurely strolls in the nearby tea plantations, arranging for private visits to the Lidasdale or Hgh Forest Tea Factories or going for a trek at the Horton Plains National Park.